With an excess of things to keep track of this summer, my Get In The Studio habit went to hell in a handbasket. That’s okay for a while, but eventually it makes me cranky. (And that’s definitely not okay!) Long story short, I needed to Create a Habit in order to get back to creating the stuff that makes me happy. For me, “getting motivated” and finding deep reserves of “willpower” simply don’t work. Likewise, putting big blocks of “Studio Time” on my calendar doesn’t work. It’s not specific, it’s not accountable, and it’s too wide open. I need something so small and so easy that I can’t say no. I’m certainly not an expert on good habits, but I think I’ve found a formula that will work for me. 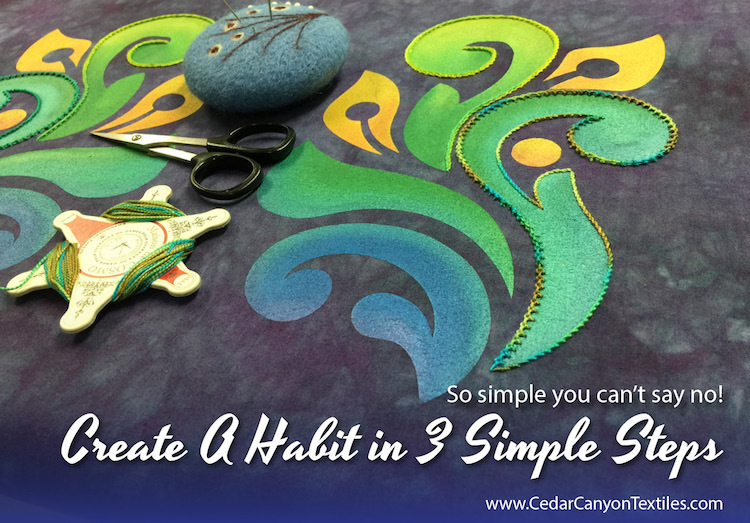 For our purposes, I’ll call it the the 3 W’s of Creating a Habit: When, What & Woohoo! The first W is WHEN. When will I execute my new habit? There is a lot of scientific research that shows that stacking a new habit on top of an existing habit works really well. 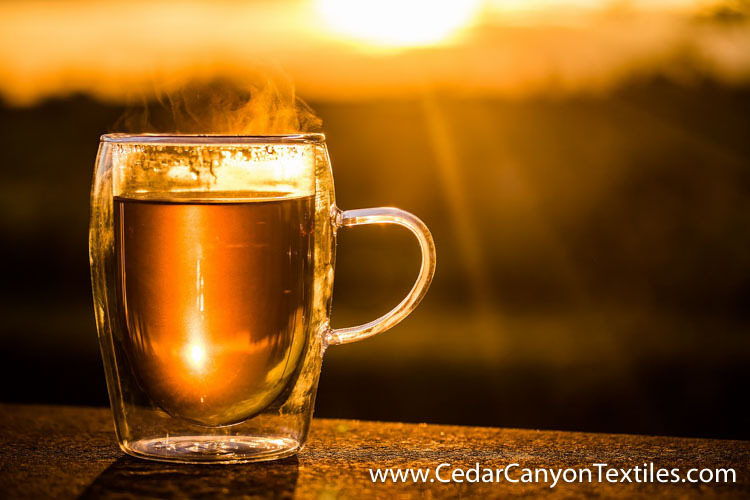 I decided that my WHEN would be after I make my morning cup of tea and before breakfast. 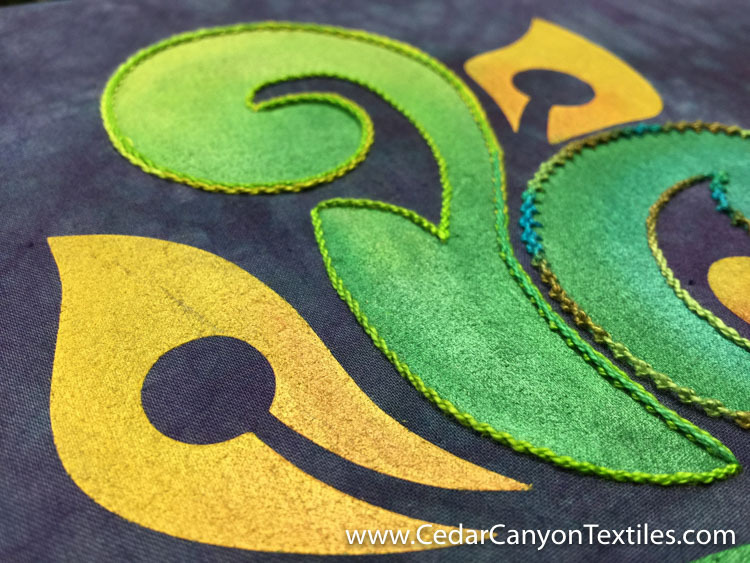 Knowing that I needed to start small, I committed to 20 minutes of stitching each morning. That’s enough time for me to put one length of pearl cotton into a project. One thread-length of stitching. Small. Measureable. Doable on even the busiest day. WOOHOO: A big X on the calendar – and breakfast! The third W is Woohoo! I’m a big believer in celebrating, and I love that the habit researchers agree. To create a habit that sticks, we need to celebrate our wins. I printed out some blank calendar pages. 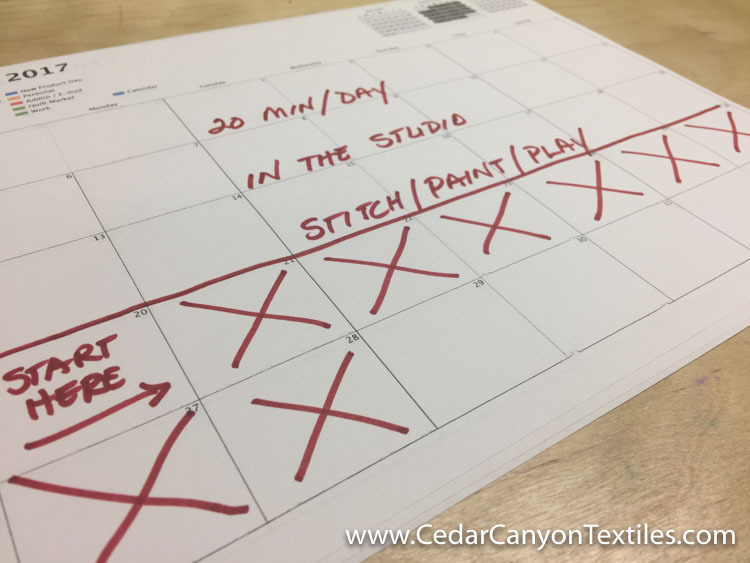 Each time I finish my 20 minutes of stitching, I put a big, red X on the calendar – and then head upstairs to the kitchen for a yummy breakfast. My new habit is already paying dividends. The most obvious result is that I’m quickly making progress on my current stitching project. The big bonus is that my little habit got my creative wheels spinning – and I’m off to to a great start on a new project! Stitching on my Talavera Flourish piece got me in the mood to work on a new version of the design. With a clean calendar on Friday, I made changes to the spacing and simplified some elements, then turned the design into a circular pattern. Oops! Easy in concept, but challenging in practice! Ummm… right. The idea was great. The execution, not so much. 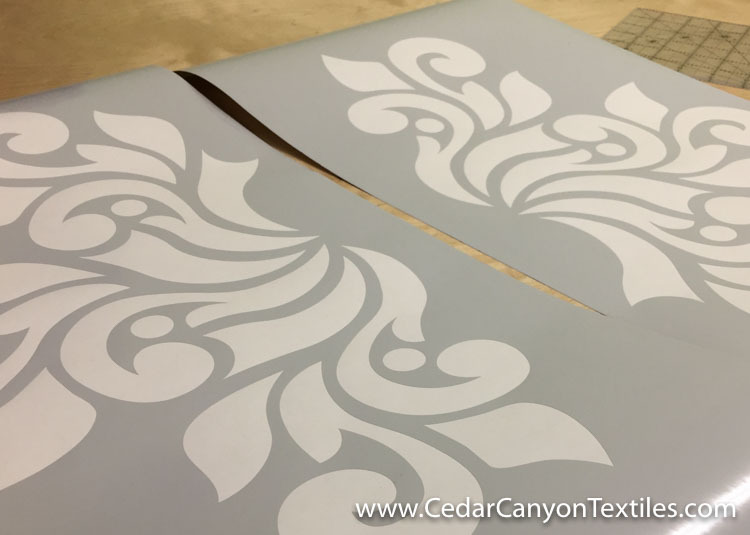 Thank goodness I was only cutting vinyl! With a few days of perspective under my belt, it’s easy to see that my new project – and my happier disposition – are a direct result of my new habit. I’m in the studio. I’m doing something productive, and I’m inviting my Art Brain to come out and play. Create a Habit with When, What & Woohoo! To sum things up, my new habit is based on the 3 W’s. What – I’ll stitch for 20 minutes on a current project. Woohoo! – I’ll put a big red X on the calendar and enjoy a good breakfast! Please feel free to use this formula to create a habit of your own. Use it, tweak it, make it into something that works for you. Start small. Be consistent. Enjoy the reward. Do you have a creative habit that has become automatic? Would you like to explore this idea further? Pop a note in a comment below. I’d love to hear your thoughts. I can see where this is a practical approach to creativity. While the two don’t normally fall into a sentence together, you have demonstrated how wonderfully they work together. Preplanning is very important to a successful outcome. Thanks! Love that thought, Janine. A practical approach to creativity. Thanks for sending that phrase my way! I love that you are doing this BEFORE breakfast! usually that is my email time, but why couldn’t it be creative time? I never thought of that! Thank you!! Ooooh, definitely more fun than email before breakfast! I’m afraid that would give me a pile of heartburn! This is what I need to do! I get so stuck in all the other things that creep into my life and take away from my creative time. Thanks for the push. I try to do this before my shower each morning. My only problem is when I really get involved in what I’m creating. I half solved that problem by setting a vibrating alarm on my watch that starts at 7:20 am. Now the next problem is that I ignore it…which isn’t good. I’ve got to get to work on time!! Ah, it’s more challenging when you have a day job to contend with. I can only go so long without breakfast, so my tummy is my nudge to get on with the rest of my day. A different time of day may work better for you. calendar for September and plug working on this early each am. 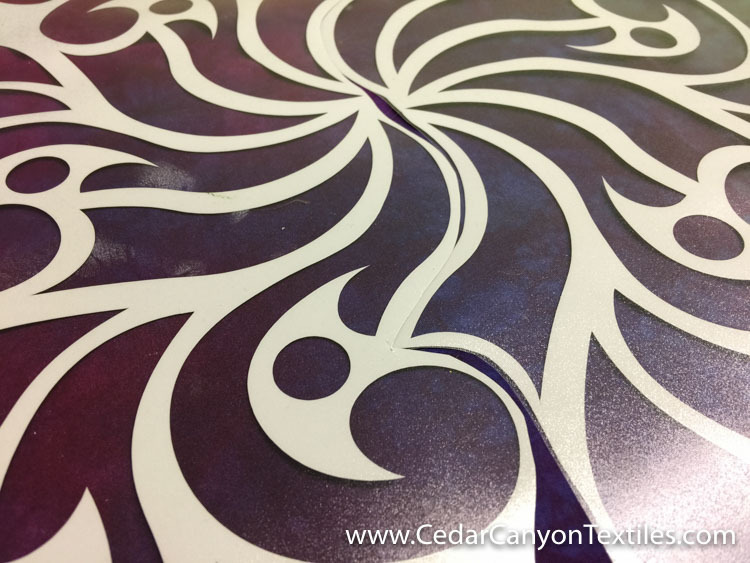 I will select another project to follow this one….. for 20+ min. early each morning. You’re welcome, Elizabeth. It’s shocking how fast the progress adds up, but not so much when you think about it. 20 minutes a day for 14 days. That 280 minutes (minimum), almost 5 solid hours. It works! This can work for me. Getting motivated is too vague and I have little willpower. Thank you for the inspiration. Amen to that, Ann. In the book The One Thing, authors Gary Keller and Jay Papasan do a good job of debunking the myths around willpower. I think the phrase they use is Willpower is not always on Will-Call. A very small habit is much more doable than trying to find an extra dose of will power. Thanks for the helpful tip. One of the things I like to do is to set myself up for success the next day. 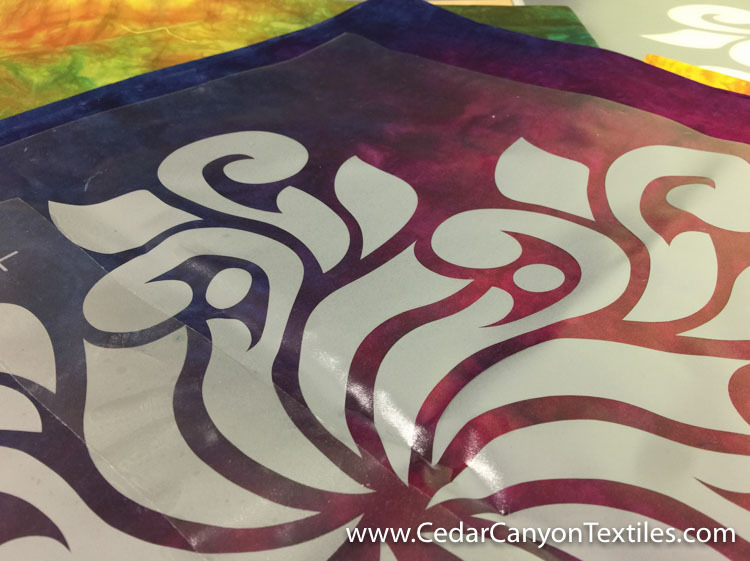 I still have the day job and usually can only carve out 20 – 30 minutes a day for sewing. I usually have multiple projects in flight. Earlier in the week I cut out the lining pieces for an apron. Yesterday I cut out the interfacing for the neck band and pockets. Today I pressed on the interfacing. Other tasks were also accomplished – continuation of marking a quilt top, adjusting the long arm. If I have things ready to get to it’s easier for me to get to the task. If I have to start by gathering and figuring out details I’m less inclined to start with those task. So I finish my creative time with setting myself up for my next success. I like the idea of the visual success calendar… ooh, wouldn’t it be fun to embroider something like that. That’s a fabulous strategy, Lin! By deciding exactly what you’re going to do next, you eliminate the decisions. I’m going to add that step to my stitching habit. 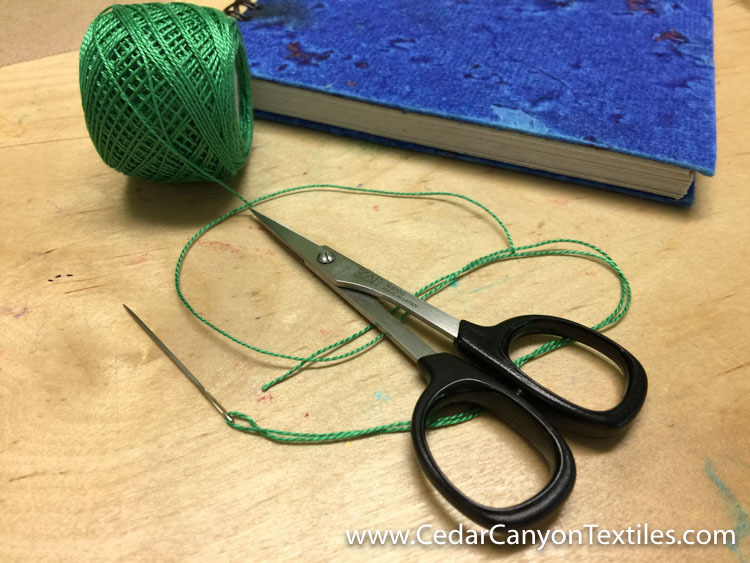 There have been days when I sit down to stitch and have to figure out what I want to do. When that happens, it’s very tempting to walk away.